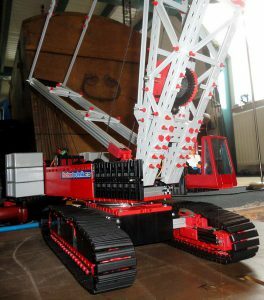 A great project: a Liebherr crane made of Fischer Technik with OpenBeam used as reinforcement. Peter Damen makes great items with Fischer Technik. 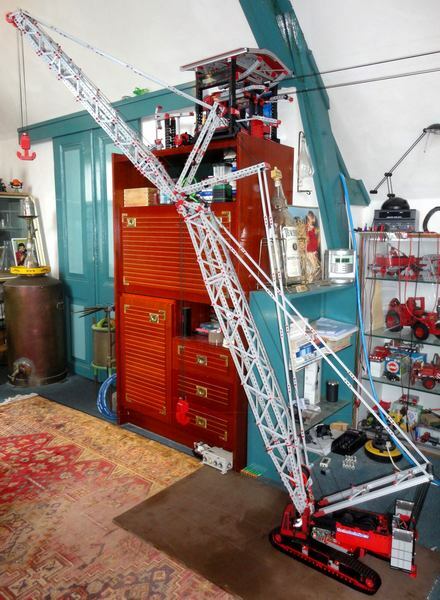 Since he has known OpenBeam he uses OpenBeam to reinforce his projects. 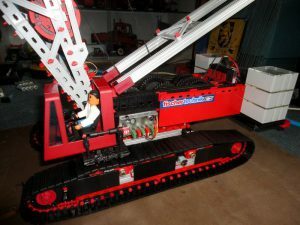 With this Liebherr crane he did the same. You can see where he used OpenBeam in these pictures below. Clear OpenBeam for the longer lengths in the crane itself and pieces of black OpenBeam in the base. 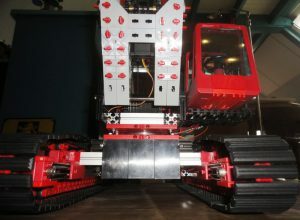 You can read more about it and see more pictures on the fischer technik community website. Here is a link to Peter his project listed there.